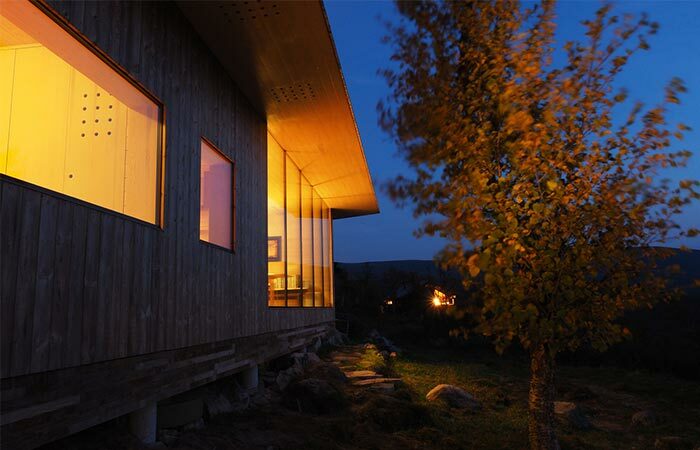 Located 3,500 feet above the sea level and situated somewhere between Oslo and Bergen stands Ustaoset Cabin. This is truly a remote location since there are no roads leading to it and all the materials had to be transported by a helicopter. But the construction difficulties didn’t stop there. This altitude is surrounded with slow-growing vegetation so the work had to be manually done in order to preserve it. During the summer months, the architects finished the outside of the cabin while the interior was finished during the winter when the materials were brought by a snow scooter. 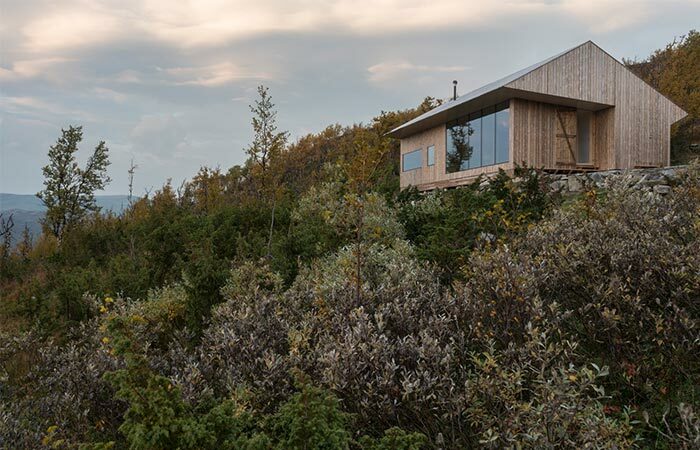 Ustaoset Cabin is located 3,500 feet above the sea level in Norway. 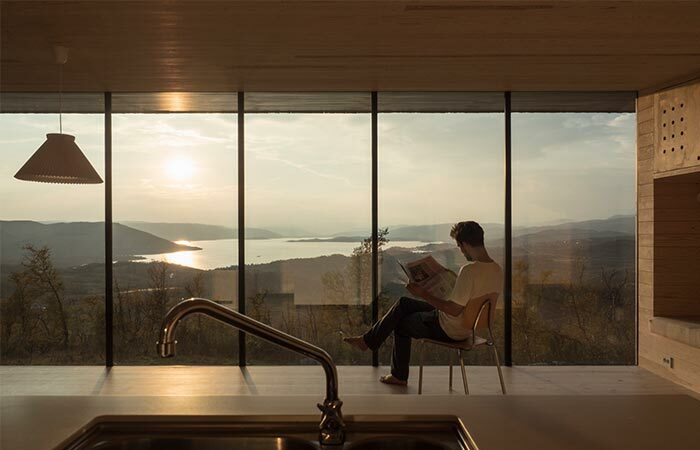 Speaking of its construction, the cabin features pine cladding and 3-layer, insulating and solar protected glass panels that offer panoramic views of the Hardangervidda mountain, lake, and glacier surrounding it. It was built in a remote location and can accommodate 16 people. 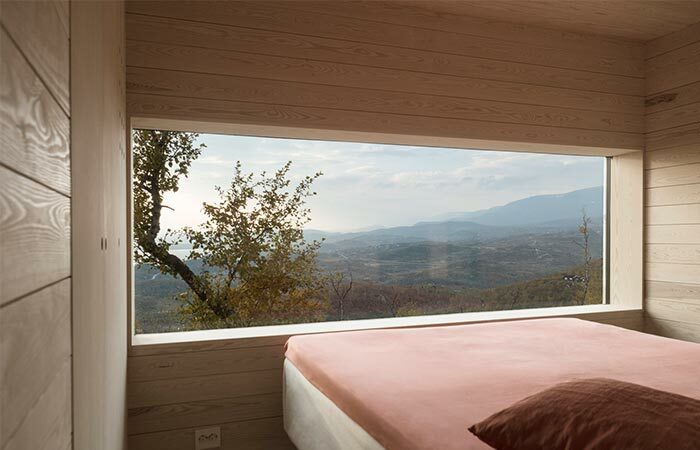 There are plenty of windows that look at the mountain and lake surrounding the cabin. An existing cabin of 29 m2 now functions as an annex, and together with the new cabin creates a sheltered outside space. The main entrance is placed toward the dominant wind-direction, to keep it clear of snow which will accumulate on opposite side of the building, so the windows here are placed rather high up on the wall. The interior is mostly made of wood, just like the exterior. 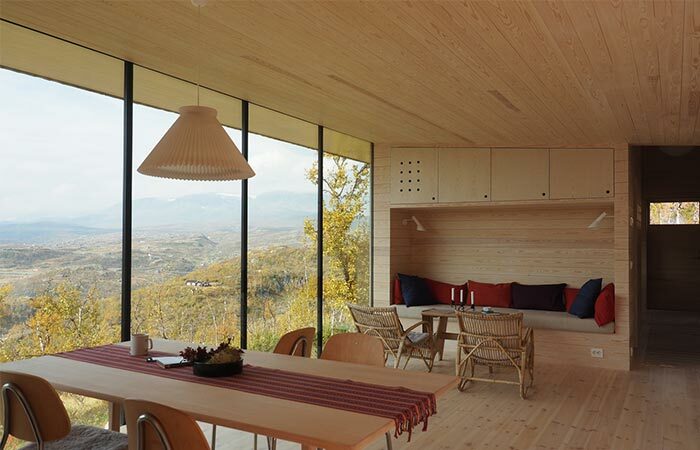 It features pine walls, ceilings, and floors as well as pine cladding.